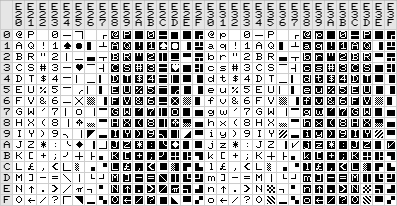 Download the world's most complete Commodore text font set, in TrueType format. 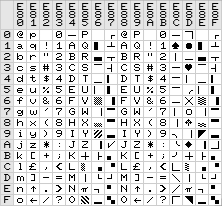 Works on Mac OS X, Windows, or any operating system that supports TrueType. 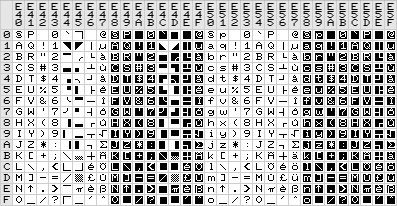 Additional characters have been added to the fonts to support all of ISO-Latin-1, Windows ANSI, and MacRoman, as well as box drawing characters and other miscellaneous Unicode characters. These additional characters have been modeled after the existing characters whenever possible. In Pet Me, Pet Me 2X, and Pet Me 2Y, code points 0xE000-0xE0FF encode the complete Commodore PET English character set, while code points 0xE100-0xE1FF encode the complete Commodore PET German character set. 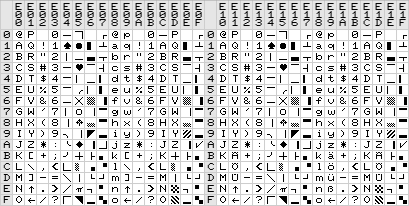 Code points 0xE200-0xE3FF encode the complete Commodore VIC-20 character set. 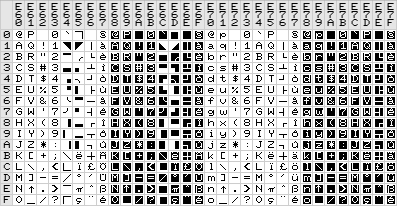 Code points 0xE400-0xE5FF encode the complete Commodore 128 German character set, while code points 0xE600-0xE7FF encode the complete Commodore 128 French character set. 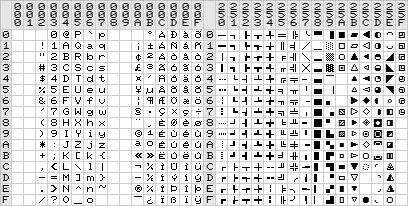 Code points 0xE600-0xE6FF encode the complete CBM2 character set. 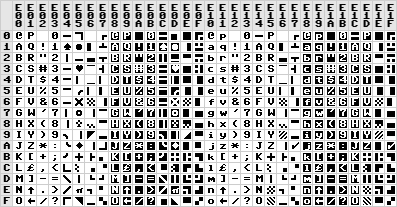 In Pet Me 64, Pet Me 64 2Y, Pet Me 128, and Pet Me 128 2Y, code points 0xE000-0xE1FF encode the complete Commodore 64 character set. 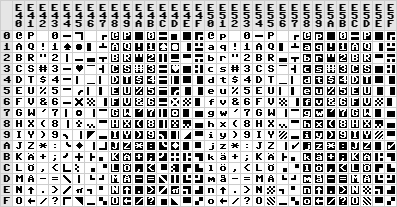 Code points 0xE200-0xE3FF encode the complete Commodore 128 English character set, while code points 0xE400-0xE5FF encode the complete Commodore 128 Swedish character set. 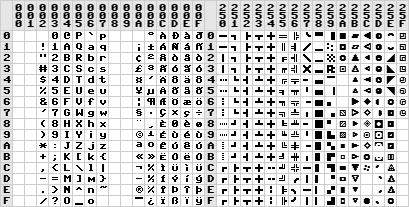 Other characters are sprinkled throughout the Unicode code space. 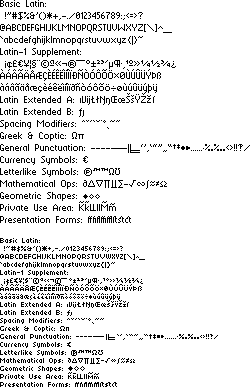 Download the TrueType version of the GEOS system font, BSW. 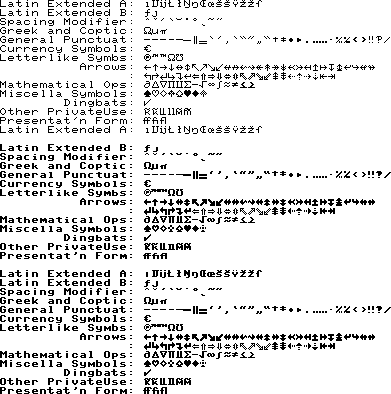 It comes in two variants, Berkelium 64 (used for menus and dialog boxes) and Berkelium 1541 (used for file icons). 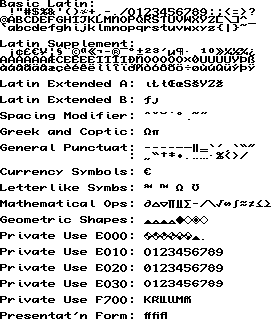 Additional characters have been added to support all of ISO-Latin-1, Windows ANSI, and MacRoman. These additional characters have been modeled after the existing characters as much as possible. 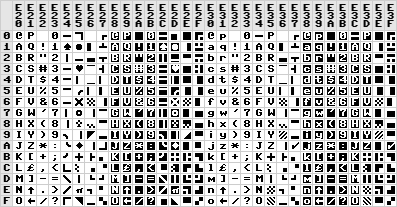 Download the TrueType version of the text font from Armin Gessert's The Great Giana Sisters. The original font only contained uppercase letters, numbers, and some punctuation, but I have extended it to support all of ISO-Latin-1, Windows ANSI, and MacRoman, as well as a handful of additional Unicode characters. Private Use Area characters 0xE000-0xE005, in order, create the sparkling diamond animation.